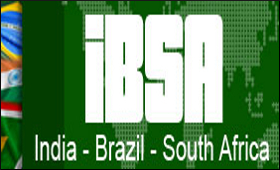 The India-Brazil-South Africa (IBSA) Fund has set a new standard for cooperation among developing countries, a top UN official said in United Nations. Speaking at the release of the IBSA 2017 portfolio on Monday, South Africa's Permanent Representative to the UN Jerry Matthews Matjila said the IBSA Fund makes free grants wihout conditions and has a very strong commitment to the recipient countries taking ownership of the projects and sharing the leadership. The three countries have contributed $35 million to the Fund formally known as the IBSA Facility for Poverty and Hunger Alleviation so far benefiting 21 developing countries. The 27 projects in these countries range from training the staff of Sierra Leone President's Office to solid waste management in Guyana and Haiti, and from sports development in Palestine to a clean stove project in Fiji to benefit rural women. The Fund is managed by the UN Office for South-South Cooperation. Speaking on behalf of the three countries, Matjila, who is the 2017 chair of the Fund, said their philosophy is to grow together with the partners because of shared challenges and to be a catalyst for development. India's Permanent Representative Syed Akbaruddin said that the IBSA initiative was "in the best tradition of South-South cooperation". "The three democracies hailing from three different continents are working with our partners from the global South to share our experiences of development for mutual benefit," he said. Speaking on behalf the recipient nations, Guyana's Permanent Representative Rudolph Michael Ten-Pow said the Fund gave a tangible expression to the cooperation by developing countries -- a solidarity of the countries facing challenges that they try to solve by sharing best practices along with resources. The IBSA-funded solid waste management project in his country also helped develop a national strategy for recycling, which will help it achieve the UN Sustainable Development Goals, Ten-Pow added. An exhibition showcasing the projects undertaken with the backing of the Fund was unveiled at the UN. UN Secretary-General Antonio Guterres said in a message: "The IBSA Fund shows how developing countries can work together to eradicate poverty and build a more peaceful and sustainable world for all."